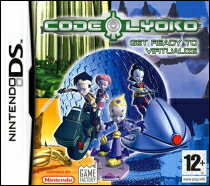 Rediscover here the Code Lyoko video games, allowing you to discover new stories about your heroes. Released in 2012, this is a social game. Accessible from Facebook (application) or on its dedicated site, it doesn't require installation; it's playable directly online and for free! It's a contemplative game. It has its own section on the site. Look at the drop-down menus to the left! One of them is called "Social game". Everything is there! 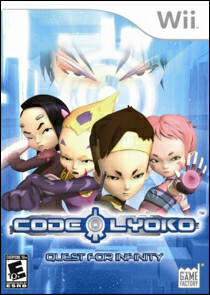 Code Lyoko's famous MMORPG: Code Lyoko Online! It should have been launched in 2012 but in the end it was suddenly abandoned... Click on the image to access the page on this very well-known project! This game can be downloaded. Dating back somewhat, it may be difficult to use on current operating systems (post Windows XP). But definitely don't miss out on it! A veritable institution of the community, this game developed by Kikou is a real-time isometric strategy game. 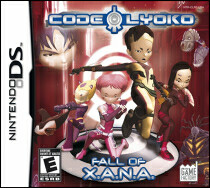 Follow the characters as they move while you make them confront XANA's monsters on Lyoko. 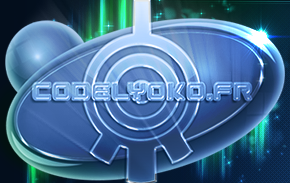 Following some setbacks, Kikou has stopped the development of the game, which mainly covers the events of season 1. However, the game is functional and as such can be used at any time! Don't miss out on this experience. Genre: Simulation of the Supercomputer interface. Presence of missions. Immu planned to cover the entire series by adding tasks and functions. A flagship game, certainly the most well-known for the moment. It's a perfect reproduction of what happens on Jeremie's screen. The genius creator of this interface works on it relentlessly. He continues to add features seen during the series. All this put together can be used in freeplay mode, sandbox or of course in a campaign made up of missions recounting the events of the series. The interface is already useable as is but Immu continues to develop and update it. The day when this product is finished, we know it will be comprehensive and legendary! An absolute must-play! 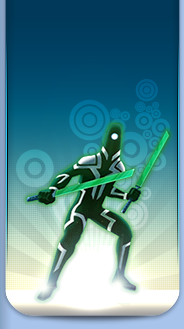 Game: Community, usable directly online. Genre: Simulation of the Supercomputer interface.